This collection is for other items which do not fall under the previous specific collections. This includes an Amiga CD32, Amiga 2000HD w/ Video Toaster and 68030, Poqet PC, various Conner tape drives, CP/M compatibility cards for the Apple II, Commodore tape player and accessories, and several pieces of x86 hardware covering 286/386 and up. 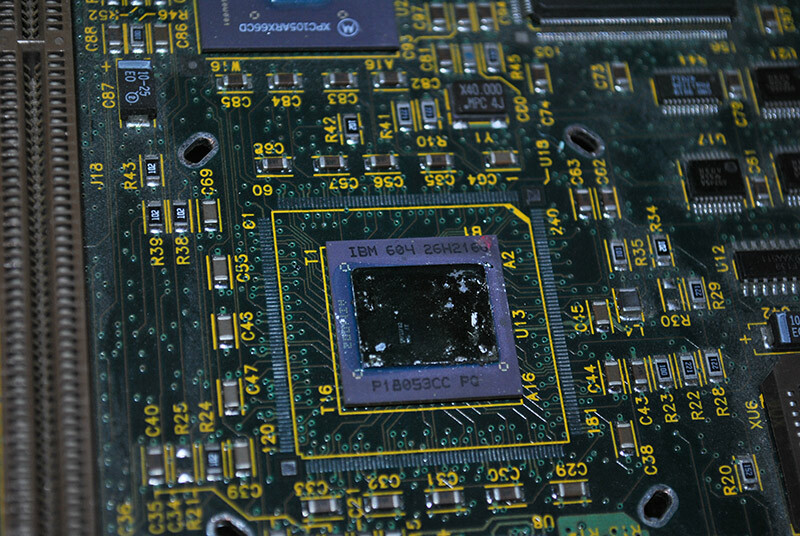 The Poqet PC is the netbook of 1989/1990. It ran MS-DOS 3.3 from PCMCIA flash cards and could last for weeks on two AA batteries. 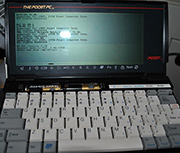 The Poqet PC used two PCMCIA flash cards; one being for the primary system and the other for extra application packs. To get around being limited by vendors releasing software on cards, you could get a PCMCIA card reader for a standard desktop and load your own applications. Also available at the time was a sync cable allowing you to connect the Poqet PC to a desktop directly. Our Amiga collection features a custom upgraded 2000HD and a CD32. 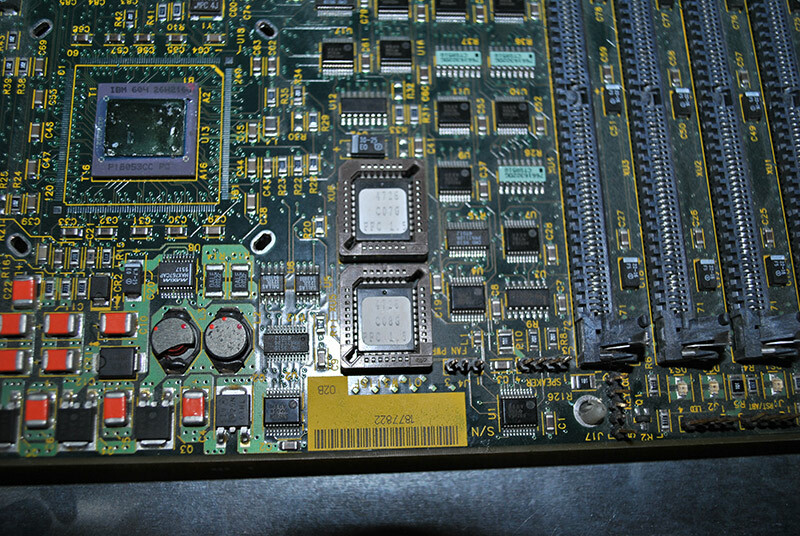 The 2000HD came with an internal SCSI controller board with a 40MB drive attached right to it, a 68030 CPU upgrade, the Video Toaster kit with separate timing processor. Likely this system was used for TV broadcast. The CD32 is more of a gaming system, though this particular unit actually came from a bank which was issuing them to customers for remote banking. It has a modem and custom remote control to go with the bundled banking software. This is likely the most rare piece in our entire museum. 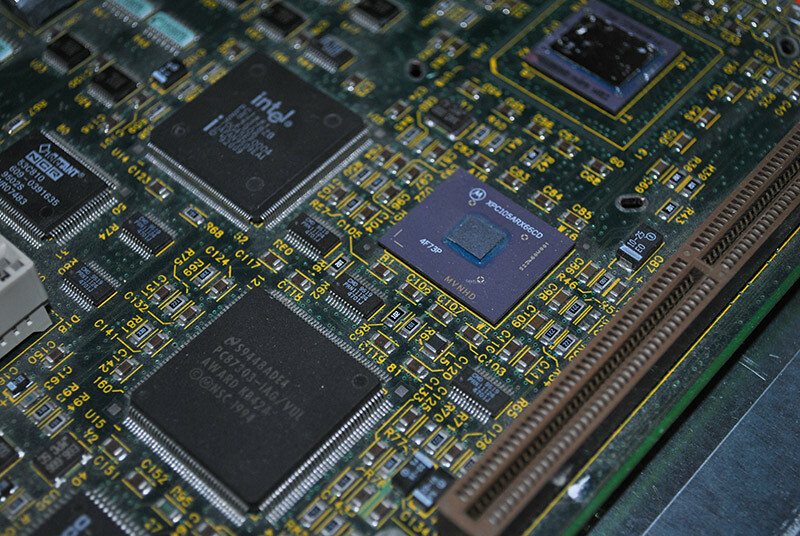 This logic board is the CHRP design which used standard PC/AT compatibility but with a Motorola PowerPC processor. We have so far not been able to get this system operational, but we will be reviewing the hardware to do further testing in the future. Not a lot is known about these, but we suspect these were designed to allow Apple II systems to be compatible with software designed for the CP/M. These have not been tested, and it is unlikely we will be able to run any demonstrations of these cards. 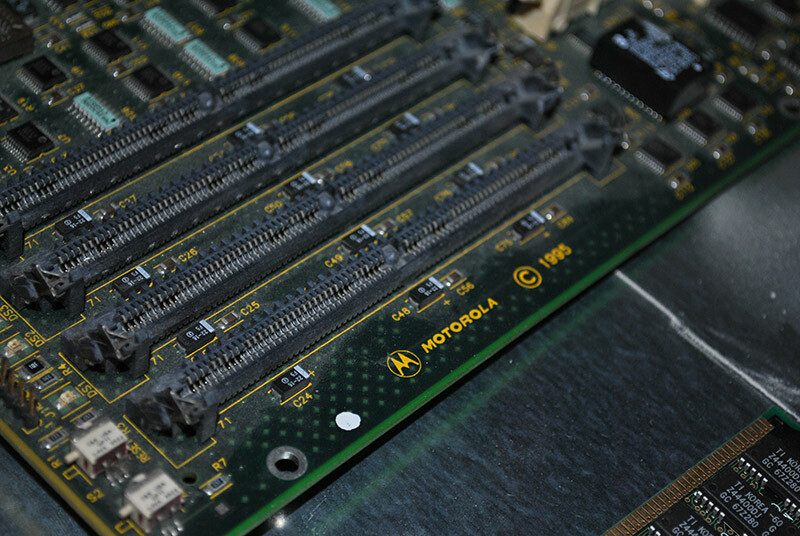 Our collection of general hardware is quite vast and includes items such as a 486 server motherboard quite large in physical size, a functional 1200bps modem, Compaq fiber channel switch, SoundBlaster 16, Conner tape drives and various CPUs from 386 up. 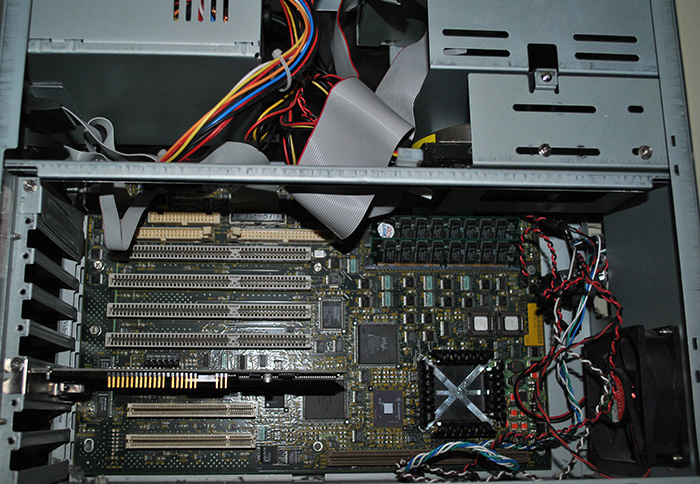 Other items include Adaptec RAID controllers using ISA and PCI, fax modems, Logitech hand scanner with input card, Voodoo2 dual video card setup, WangDAT drive, IDE/SCSI Zip drives (100MB), Digital 1000 dual Pentium 2 tower with several SCSI-2 bays, 486 Overdrive CPUs, tolken ring network adapters, various older 486/Pentium laptops, 5.25" floppy drives, and so much more that we cannot possibly list at this time. 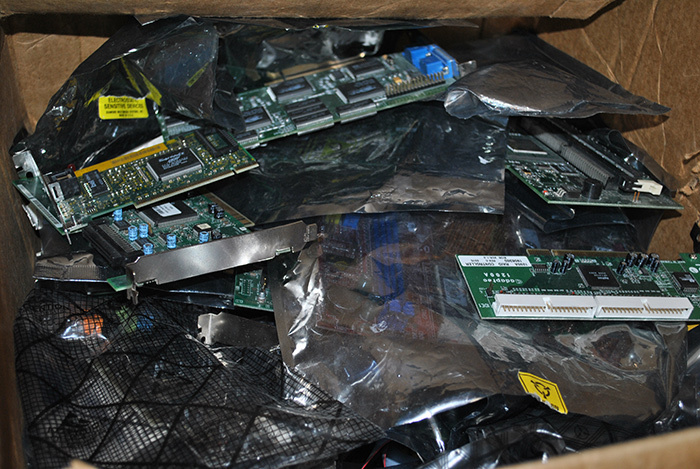 Our collection of x86 hardware fills several boxes in our storage facility.